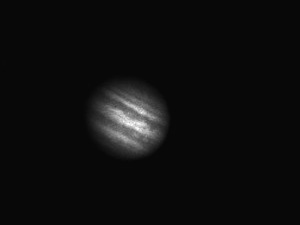 Jupiter, December 10, 16:23 UT. The festoons are quite prominent in this image. A couple of bright spots are seen in the southern equatorial belt. Seeing conditions varied between moderate and good but still far from perfect.